wanna deliver 100 100-word stories here. 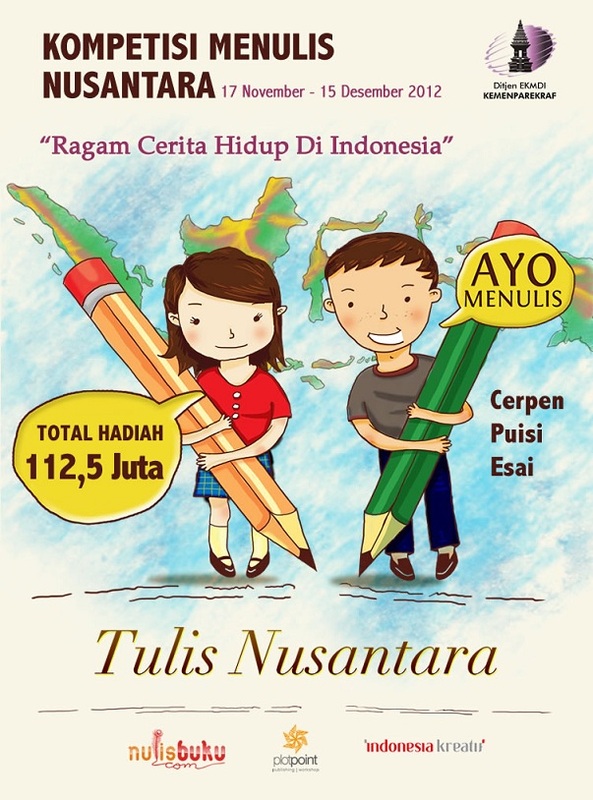 Tulis Nusantara 2012 Writing Competition, held by Ministry of Tourism and Creative Economy of The Republic of Indonesia, nulisbuku, and plotpoint. Poetry, Short Story, and Essay Categories will be engaged in contest. 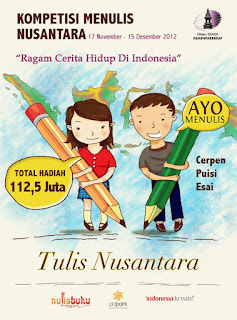 Click the link up there -Tulis Nusantara 2012- for further information as the picture was taken. WILL SASTRO WEAR DRESSES, WALDJINEM?